Shelving crafted from Douglas fir curves around the interior of skincare brand Aesop's first Düsseldorf store, which Snøhetta designed to feel like an amphitheatre (+ slideshow). 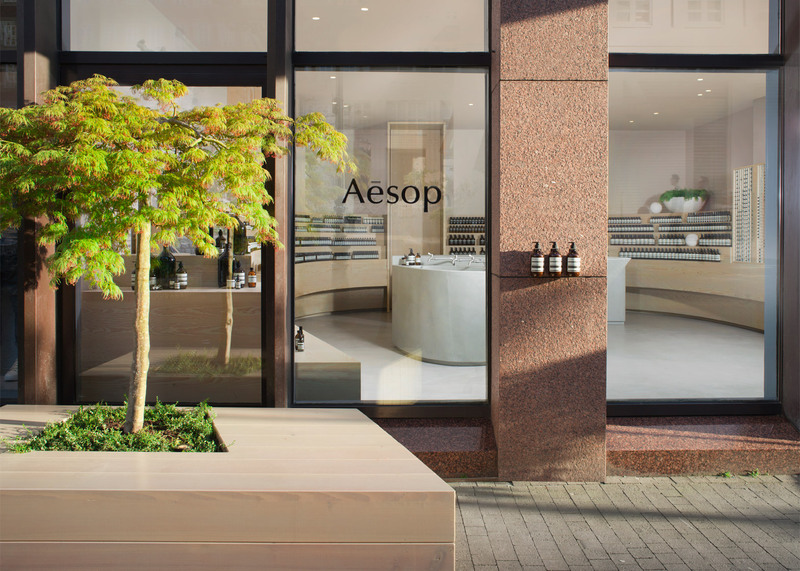 The Aesop store is located on Grabenstraße, a plaza in Düsseldorf where markets and fairs often take place. Aiming to reflect the plaza's use as a public space, Snøhetta chose a concrete sink reminiscent of a fountain as the shop's centrepiece. "The design subtly blurs distinctions between interior and exterior," said the architects. "This implicit extension of the plaza is amplified by a monolithic concrete sink, reminiscent of a fountain around which locals might regularly gather." They then reinterpreted the communal location as an amphitheatre, using tiered shelving crafted from light-coloured Douglas fir to create a crescent shape around the edge of the room. 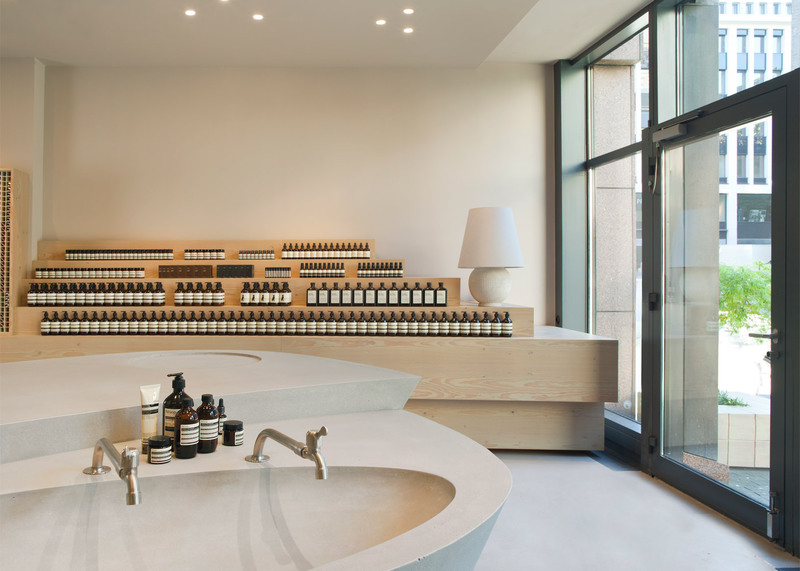 Aesop's products are arrayed upon the curving shelves, just as people would be seated on the tiers of an open-air theatre. Outside, two square-shaped timber benches with planter boxes in the middle allow visitors to sit and observe the hustle and bustle of the location. Aesop Grabenstraße is the second Snøhetta-designed store in Germany, and the fifth outpost by the firm worldwide. Other Aesop stores by the New York and Oslo-based architects include a space based on a nutmeg plantation in Singapore and the brand's first outpost in Norway, which features a ceiling of intersecting domes.